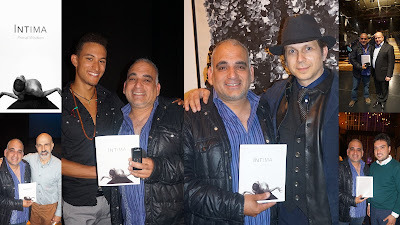 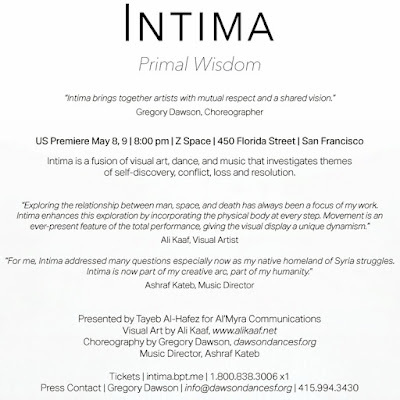 Intima is a fusion of visual art, dance, and music that investigates themes of self-discovery, conflict, loss and resolution. 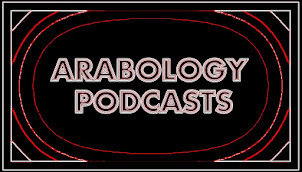 The cultural history of Syria, ranging from the Gilgamesh myth to the current, tragic war, inspired Tayeb Al-Hafez to bring these artists together. 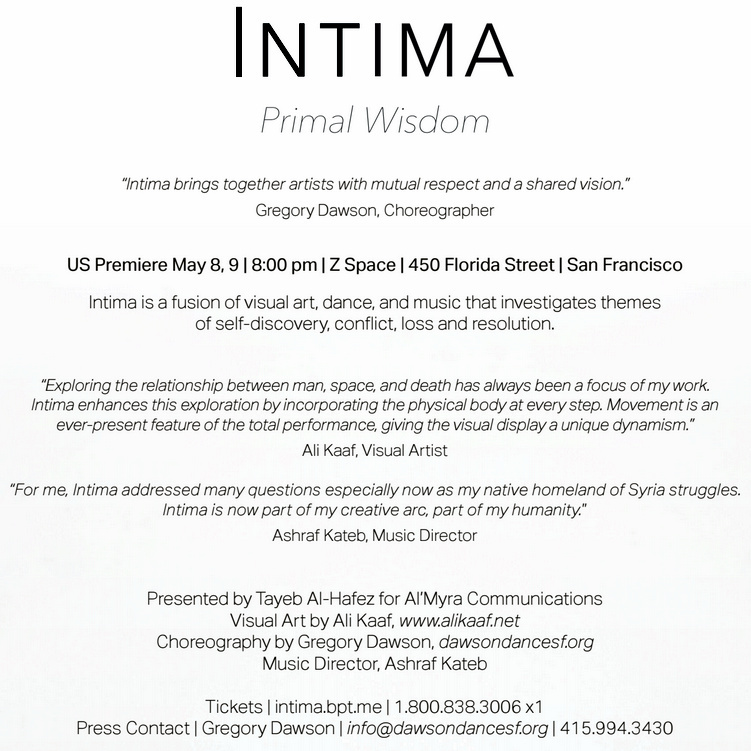 This event is premiered on May 8 and 9 at Z Space in San Francisco.